Icelandic geologists have now confirmed that the earthquakes at Upptyppingar were caused by the inundation of Halslon at Karahnjukar. Now that the inundation of the Karahnjukar area is completed the earthquakes have subsided, but only for the time being. The water levels of Halslon will be constantly fluctuating while the reservoir is operational. This proves that the warnings of geologists like Grimur Bjornsson and Gudmundur Sigvaldason were very valid. The Kárahnjúkar dams are situated on a cluster of active geological fissures. The government withheld geological reports from parliament when voting on the dams took place. The suppression of these reports, the official gagging order placed on Grimur Bjornsson and the general defamation that the concerned scientists experienced from government ministers, power companies and other State institutions was criminal. Those responsible should be made to answer for this. Large dams have dramatic consequences. Ecosystems are destroyed and numerous people are made homeless, often without adequate resettlement. But it is yet little known that large-scale hydro-electricity is a major contributor to global warming. The reservoirs could, despite their clean image, be even more devastating for our climate than fossil fuel plants. This morning, activists visited the offices of Impregilo New Cross Ltd, part of the company which is building the controversial Karahnjukar Dam in Iceland. The campaigners turned up at 85e Centurion Court, Milton Park outside of Abingdon with banners, leaflets & drums. Wandering in to the first floor open plan office, they proceeded to speak to all the employees, including the senior management. 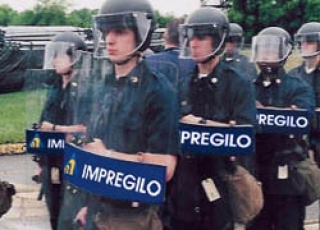 One person met with the finance director of the company who promised to scan the leaflet and send it to their head office in Italy. Everyone was remarkably polite and listened to what we had to say. 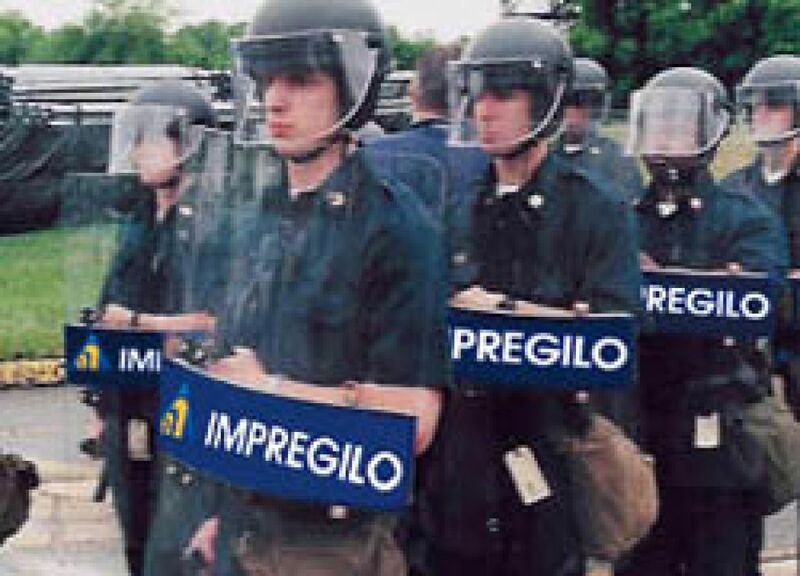 Many of them had already heard about the dam, and we had to explain to them that it was not too late for Impregilo to pull out of this disaster waiting to happen. Over the summer of 2005, about a hundred activists from around the world got together to protest against overwhelming environmental destruction and corporate greed. No, not the “pop Muppets” in Hyde Park, this was a gathering of international protesters — who trooped into the Arctic Circle to show much-needed support and solidarity to the Saving Iceland campaign. The Saving Iceland campaign began in 2004, when the Icelandic government had bypassed a series of laws in order to allow the national power company, Landsvirkjun, to build a gigantic hydroelectric dam, now being constructed in the country’s eastern highlands. The National Planning Agency originally refused to grant permission to the first proposal in 2001 due to the irreversible negative environmental impact the dam would have. Incredibly, the then environment minister (whose only qualification is a GNVQ in physiotherapy) announced that the project was actually environmentally sound, and overturned the NPA decision — even though the dam will be of no benefit to her country or its inhabitants. Power will not be generated for the Icelandic people, but for a smelter for US aluminium giant Alcoa: they are building their metal furnace in a pristine fjord at Reydarfjordur. With abulging back-pocket of cash, this hugely costly project — both financially (it will ultimately cost $1 billion) and of course ecologically — was set to begin. Interestingly, Alcoa is also facing massive criticism over a proposed 340,000 metric ton smelter plant in Cap De Ville in the Caribbean Island of Trinidad. Karahnjukar, the location chosen for the dam, offers a stunning landscape of jagged black mountains and sweeping green hills which frame the ferocious glacial river, Jokulsa Bru. 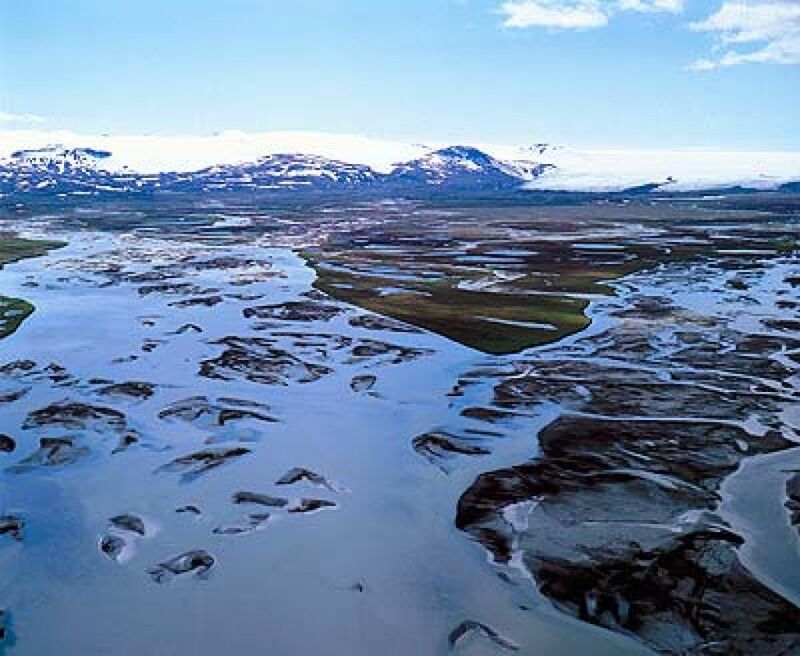 It is this river which is being diverted into another large river — Jokulsa iFljotsdal — and dammed to power the hydro-electric plant. Not only is a glacial river being manipulated, but the construction of the plant also involves dynamiting a dormant volcano, and the entire hellish creation rests on a cluster of active geological fissures. Sound dodgy yet? Well, the environmental vandalism doesn’t stop at Karahnjukar, as most of Lansvirkjun’s other plans envisage the harnessing of several rivers formed at Europe’s largest ever glacier Vatnajokul and the creation of reservoirs in surrounding areas. 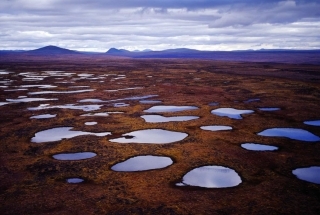 The biggest reservoir, Halson, will reach 57 square kilometres in area and be created by the highest rock-fill dam in Europe — covering three percent of breathtaking Icelandic beauty in murky water. All to generate power for a long queue of salivating multinationals. People living in towns and farms near the dam-affected areas have been persuaded by the promise of employment — even though there is virtually no unemployment in Iceland and most people interviewed said that they would not work in an aluminium smelter in any case. But once the natural resources have been exhausted, employment in these regions will probably be lower than ever, because all that will be left for bored teenagers to hang out on — and for visitors to marvel at — will be a barren corpse of nature. Unsurprisingly, the announcement that Europe’s least polluted country (a virtue the government has used to lure tourists onto the island for years) is to be given an industrial makeover has been met with outrage from most of the people who live there. Icelanders have stood for hours in silent vigils outside the commons and Bjork’s mother did a three-week hunger strike. However, fluffy protest seemed to have little effect. Direct action finally arrived in Iceland when three activists chucked green skyr (Icelandic yoghurt) over delegates at an international aluminium conference, drawing attention to the greenwashing that has been used to cover up the real cost to the environment of aluminium smelters and the dams that power them. The meeting was completely disrupted and the three activists were arrested and later charged with trespass and cleaning bills of up to #320,000. Their case returned to court in January, with two of the activists sen tenced in a Reykjavik municipal court to two months in prison (suspended), a #6,000 “cleaning up bill”, plus a fine and court costs. The owners of Hotel Nordica reckoned it cost more than #5000 to hire a carpet cleaner for two hours. The support and attention generated by the yoghurt incident suggested that more spiky actions were the way forward. When environmentalists from the UK, US, Poland, Sweden, Spain, Germany and France landed in Karahnjukar during the summer, Icelanders were treated to a fireworks show of direct action with the area seeing the nation’s first ever protest camp! The hills of moss mattresses decorated with fairy-sized flowers of the most vibrant colours became beds for six weeks, and the delicate streams that laced them, washing facilities. Here, in excellent proximity to the dam (the entrances to the site were five minutes’ walk along the stream) they were able to reccie, plot and carry out a succession of actions. As more protesters arrived in Iceland after the G8, sufficient numbers were gathered to carry out an effective blockade. On the anniversary of the signing of contracts with Alcoa — 19 July — activists decided this was an appropriate date to lock-on to road vehicles at one of the main road intersections of the site. Baffled policemen stood scratching their heads for three hours whilst work on the entire site was halted: people were arrested but not charged. Although the police and security responded peacefully on this occasion, on a second blockade — where protesters were locked onto the front of vehicles by their necks — officers instructed drivers (many of whom are Chinese or Portuguese and do not speak Icelandic) to turn on their engines, risking people’s lives. Fortunately no one was hurt, but three people were piled into a bus by specially flown-in riot police (the “Viking Squad”!) and one young man was reportedly held down and repeatedly punched in the stomach by the poice. Due to pressure from the authorities, the owners of the land where the camp was based withdrew their permission to let people stay. The camp relocated nearby and, despite heavy police surveillance, more actions were successfully carried out. During one action a group of protesters entered the construction site and unravelled a long banner down the dam wall displaying a massive jagged black line. This drew attention to a newly-developed crack in the dam area which, geologists fear, is just the first of many to come. If the dam bursts the results will be catastrophic, killing thousands and wrecking the viable farmland in the east. In a separate action three cranes were also occupied at the aluminium smelter, stopping work for five hours! The police nervously climbed the cranes to remove protesters and arrested them when back on the ground. Although much more Icelandic support had been gained as a result of last summer’s events, the international network of support for the campaign also represents a global struggle. The conversion of powerful, living and beautiful nature into heavy industry in Iceland is a microscopic example of what’s taking place all over the world — from the Narmada Dam in central India to the Three Gorges Dam in China. 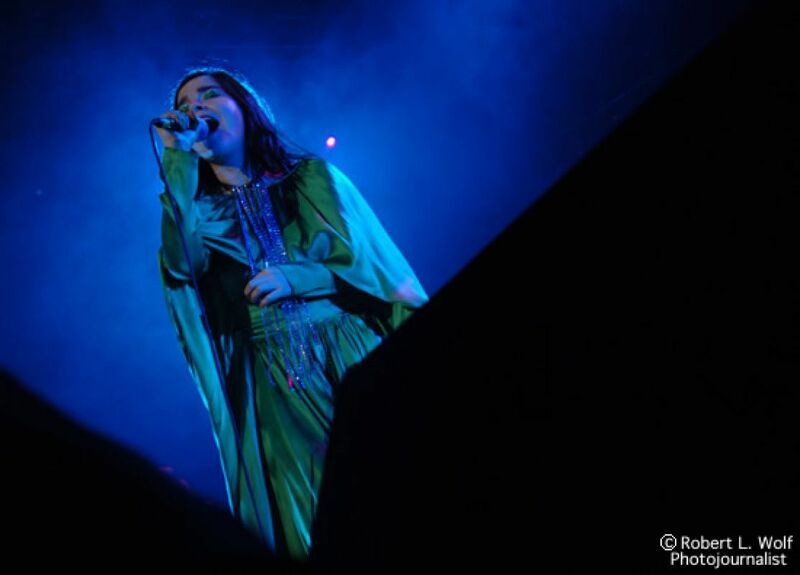 In January there was a big environmental benefit gig, held to draw attention to the situation in Iceland. 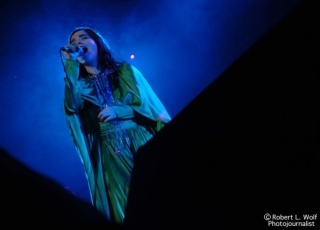 Acts included Bjork, Damon Albarn, Damien Rice and Sigur Ros. It tookplace in Reykjavik and all proceeds will go to “ecological resistance”. We don’t know if it will go to Saving Iceland but if it does then it will fund this summer’s protest camp. Two more benefit gigs will also take place — one in Sheffield [held as PN went to press], followed by one in London in spring. Over the next few months, Saving Iceland campaigners will also be spreading the word in a European Tour and preparing for the next protest camp — due to start on 21 July 2006. The flooding of Karanhjukar is scheduled to start at the beginning of September — so we will need all the help we can get! Although we can sometimes feel small as activists, if we can stop what will only be an environmental tragedy in Iceland, we can send a powerful message to the other corporate monsters — to wrench their filthy claws out of our planet. For more info see the “Join the Fight” section at http://www.savingiceland.org. Support actions are very welcome – anywhere in the world. Email savingiceland at riseup.net.